Combined powers of Lord Brahma Vishnu Shiva. 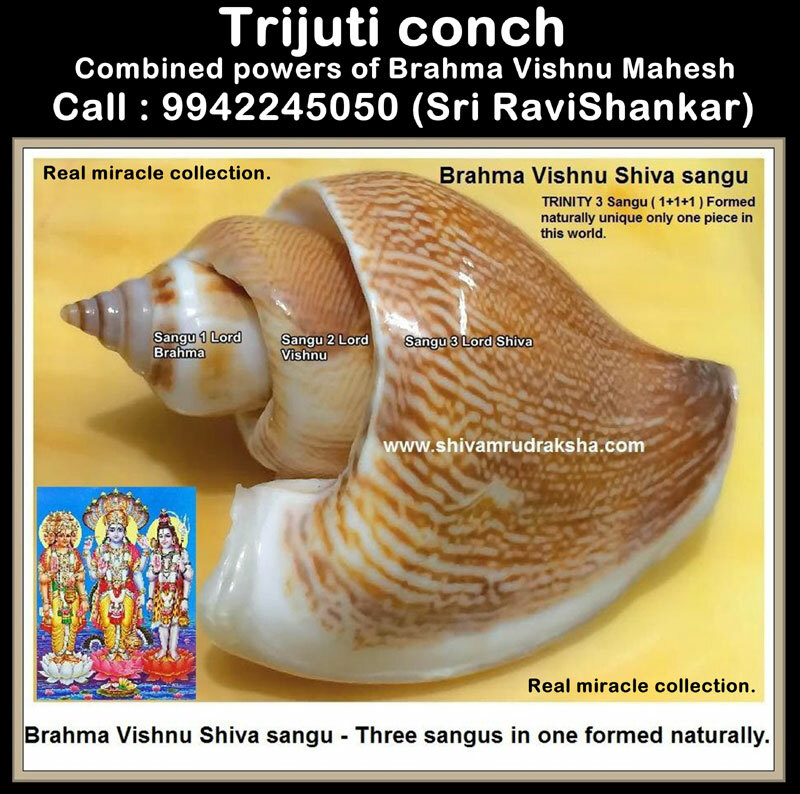 This is miracle collection from indian ocean three in one conch one inside other formed naturally wonderfully and beautifully. 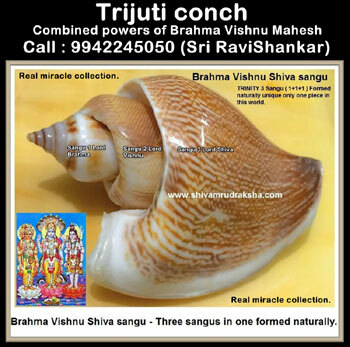 This conch has extremely high energy of Lord Brahma Vishnu Mahesh and gives full and full blessing of Lord Brahma Vishnu Mahesh. By keeping this trijuti sangu gives all short of good enjoyments very good health, wealth, success, happiness and peace.